I’ve been a lawyer for nearly 25 years. The years seem to have flown by. In this review, I have chosen several images which have some — sometimes tangential — connection with my life as a lawyer during 2017. It is a bit of a travelogue, capturing themes and ideas along the way. I was urged to prepare this post (sometime ago) by a far flung colleague. Barbara Rich is an English Chancery barrister and mediator, specialising in disputed succession & decision-making for people who lack mental capacity. She posted a wonderful 2017 year in review and it would be remiss to miss it. Barbara was in turn inspired by solicitor/photographer Chris Dale, and that will surely interest you as well. 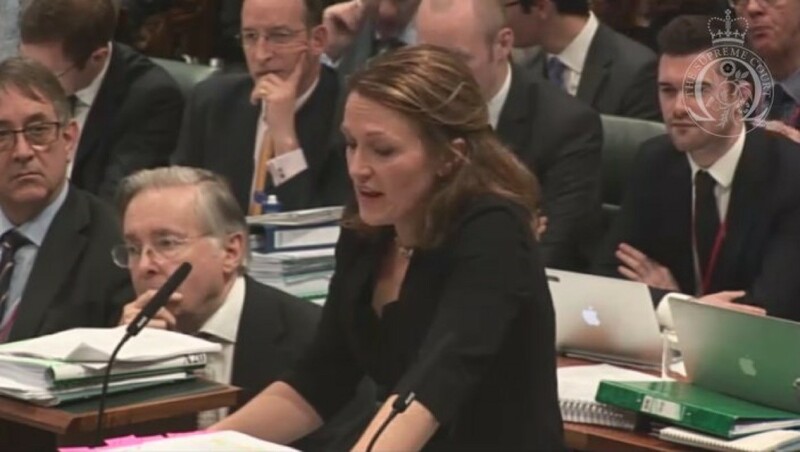 Whilst I was in London, the Brexit Article 50 challenge was being argued before the Supreme Court (aka R (Miller & Anor) v Secretary of State for Exiting the European Union). There was non-stop televised coverage of the oral arguments, and ready access to the Supreme Court’s website which published the parties’ written arguments and daily hearing transcripts. Not long afterwards, the Bar Council of England and Wales published its own Brexit plan in The Brexit Papers, acknowledging that there has not been a more profound legal and constitutional challenge in living memory with which the UK Government has had to grapple, in terms of legal complexity or significance for the long-term health and stability of the economy. Before London, I had spent a (bitterly cold) week in Berlin, Germany where I joined fellow international delegates to the G20’s Business Dialogue (known as the ‘B20’). 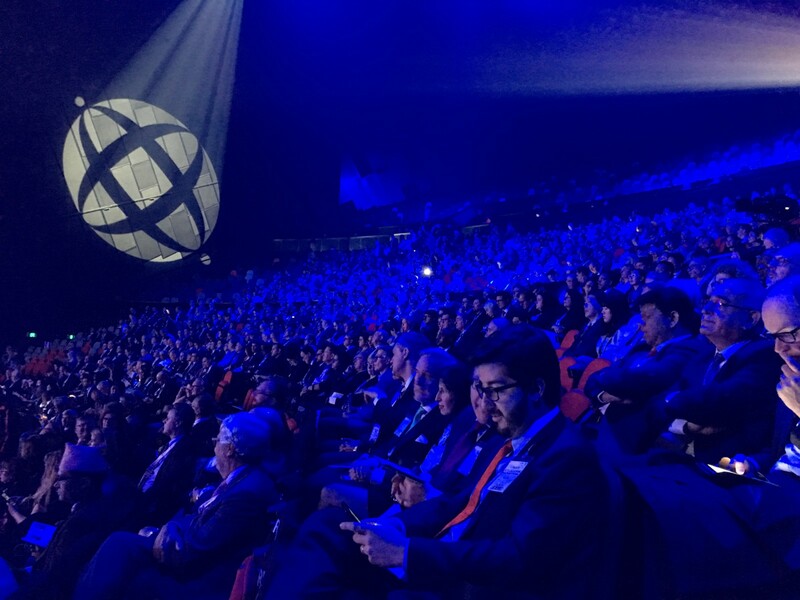 The B20 is the official G20 dialogue with the global business community. Its concerns stretched from the need to maintain an open, rule-based trading system, to facilitating sustainable finance and increased efforts to widen the inclusiveness and resilience of the labor market in the face of technological change. 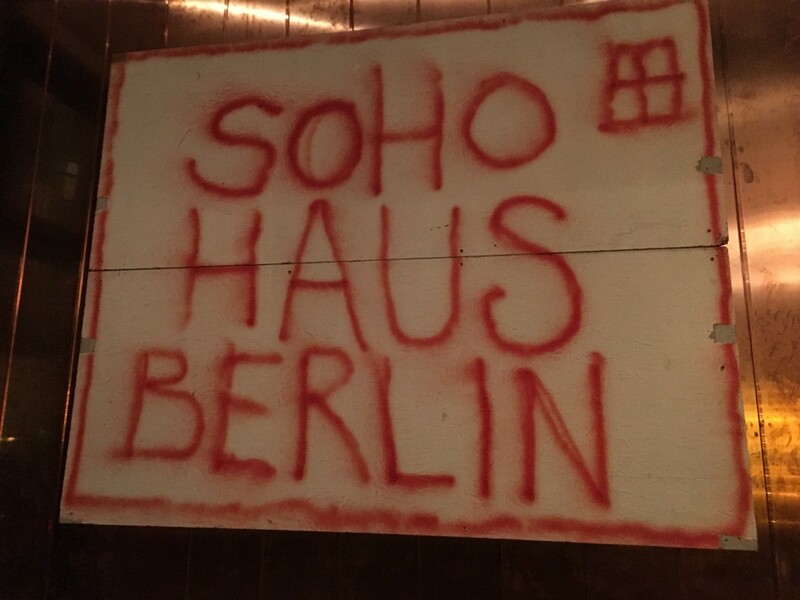 Our pre-conference drinks party was at Soho Haus, which was almost too hip & cool for a bunch of technocrats, business people and lawyers, but German Federal Finance Minister Wolfgang Schäuble (2009–2018) was a charming host, quipping of Brexit: “We used to think the British were reasonable people — now, not so much!”. Needless to say, uncertainty about Brexit and President Trump dominated our B20 Conference deliberations (read more about it here) and had a big impact on our final policy recommendations which we presented to G20 Ministers in May. Traditionally, the first two weeks of January are holidays for members of the Australian Bar, as the Law Courts close late December, and do not formally open again until the Red Mass and other religious festivities on the first Monday in February. Many would argue the entire Australian nation clocks off for much the same period, and certainly seem to avoid any real work until after Australia Day on January 26. 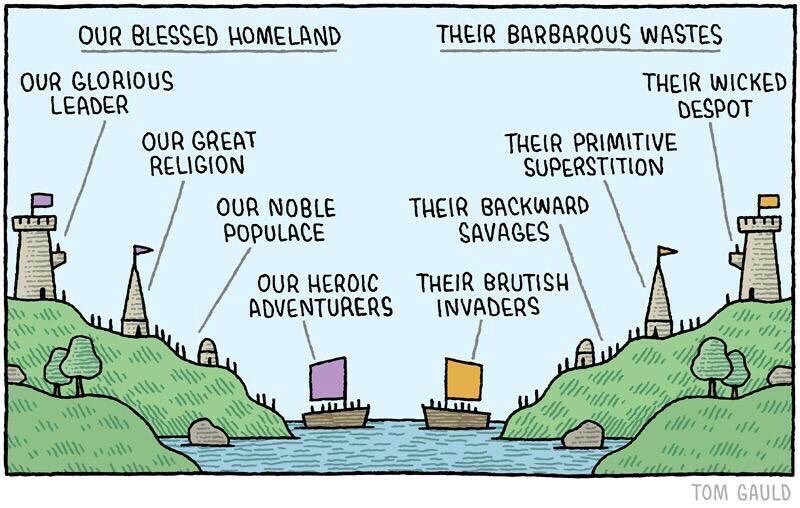 I suspect David added the Kardashians to check we were paying attention. On 30 January, Susan Kiefel AC took office as the first female Chief Justice of Australia. Her Honour has served on the High Court since 2007, having previously been a judge of the Supreme Court of Queensland and the Federal Court. I remember a time in 2003 when, following the retirement of Mary Gaudron, Australia’s first female High Court justice, there were no women on our highest court (I may have caused a bit of a stir when I complained about that to the national broadcaster at the time). Unsurprisingly, the appointment of this new Chief Justice was welcomed by the profession and beyond. In her first speech as the nation’s top judge she quickly forecast her plan to champion clear, concise rulings that bring certainty and instil confidence over “vanity judgments” with literary flourishes. Ultimately, 2017 saw several unanimous judgments by the Court under Kiefel CJ’s leadership, including a series of politically sensitive cases concerning the ineligibility of dual citizens to run for Parliament (see Re Canavan, Re Ludlam, R Waters, Re Roberts, Re Joyce, Re Nash, and Re Xenophon  HCA 45; Re Nash [No 2]  HCA 52; Re Kakoschke-Moore  HCA 10). Speaking of citizenship, in February, I joined the Law Council of Australia’s Immigration Law Conference (link to papers). Although I do not practice in the (seemingly fraught) area of Migration Law, conference Chair Rita Chowdhury asked me to contribute to the session on Accountability mechanisms beyond merits review & jurisdictional error. My focus was on the little used Commonwealth Scheme for Compensation for Detriment caused by Defective Administration and even rarer “act of grace” payments. The CDDA Scheme provides a mechanism for non-corporate Commonwealth entities (NCEs) to compensate persons who have experienced detriment as a result of a NCE’s defective actions or inaction. It is available to provide a remedy for all NCEs under the Public Governance, Performance, and Accountability Act 2013 (with the exception of the Departments of Parliament). To date, most compensation has arisen from defective administration by the Australian Taxation Office. I also began developing a theme I subsequently explored in more detail through the year, concerning transparency and accountability in automated government-decision making. Each year, 8 March heralds a bevy of International Women’s Day events across the city. This year I joined a lunch panel on “The Female City” at Australian law firm Clayton Utz. 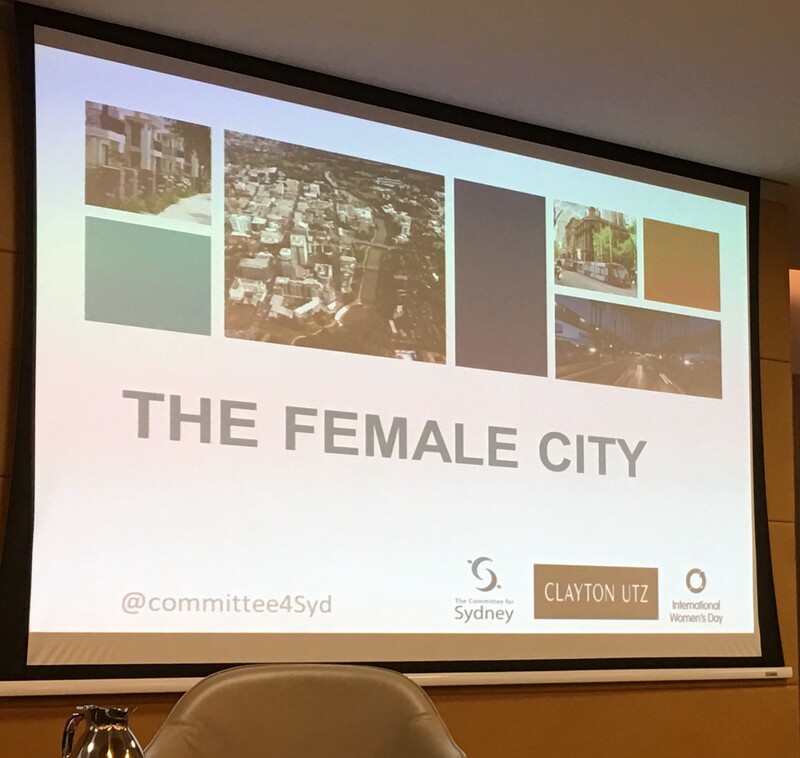 Guests were treated to a debate organised by the Committee for Sydney on what a city designed for and by women would look like, and how it would function. The Committee for Sydney is an independent think tank and ‘champion’ for the whole of Sydney, providing thought leadership beyond the electoral cycle. 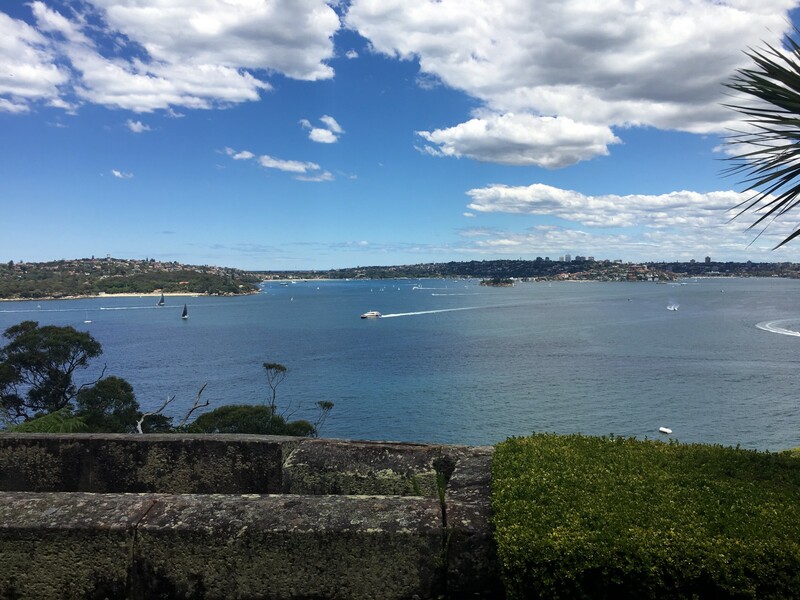 Its aim is the enhancement of the economic, social, cultural and environmental conditions that make Sydney a competitive and liveable global city. I am a member of its Professional and Business Services Taskforce. Keep an eye out for its publications and events (on Twitter: @Committee4Syd). Sydney needs to continue to think about how the city is used by all, including focussing on safety, walkability, jobs closer to where people live, and the concept of work life integration rather than work life balance. 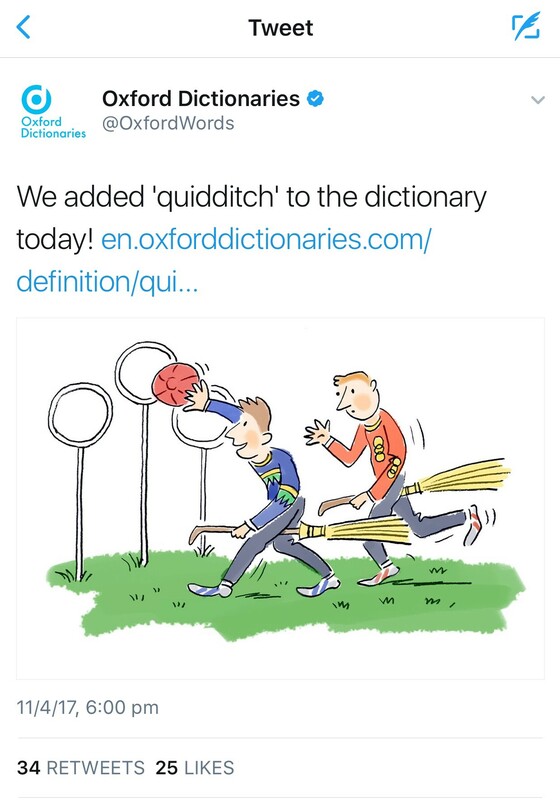 In 2017, I also learned all about the complex rules of quidditch, because my eldest son, although ostensibly studying Science and Economics, spends a great deal of his time playing and organising for his university’s Quidditch Club. Turns out, quidditch is “serious business” and the sport has recently seen intense international expansion. Its popularity skyrocketed here when the Australian national team, the Drop Bears, claimed gold at the 2016 IQA World Cup, defeating defending champions, the USA. So, move aside cricket. You have been warned. 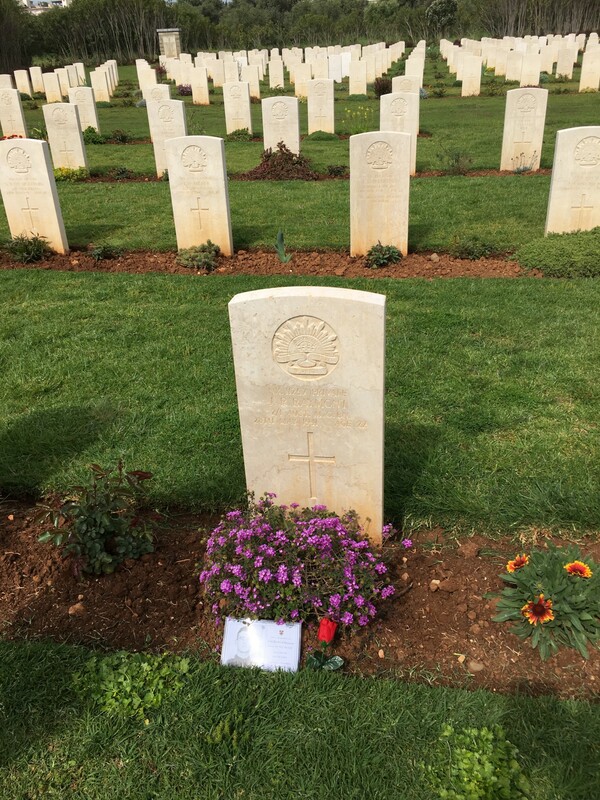 In April, I accompanied my 15 year old son on an odyssey of sorts, as part of his school’s European Battlefields Tour. Our trip was timed as part of the lead up to ANZAC Day — 25 April — which marks the anniversary of the first major military action fought by Australian and New Zealand forces during the First World War. Our original plans to visit Turkey were abandoned due to security concerns. It was an extraordinary experience, as we travelled through Greece, Crete, Prague, Amsterdam, Belgium, rural France and Paris, with many bus hours and flight checkins on the way. Our trip was all all the more poignant, as we visited a number of cemetaries lovingly maintained by the Commonwealth War Graves Commission. The CWGC was founded by Royal Charter in 1917, and was commemorating its 100th anniversary during our trip. At each stop, one of the boys made a special presentation relating to one of the fallen soldiers who had studied at their school. For us parents, we could scarcely imagine our sprightly young boys being conscripted for battle, yet that was the fate that so many had bravely faced over the previous century. During our trip, I was fortunate to spend some time in The Netherlands. My father was born in Utrecht in 1939 (our surname is Anglicised from the Dutch Hoogendoorn) and he tells haunting stories of hunger during the occupation. His eyes light up when he tells stories of Red Cross parcel drops of fresh bread and butter, and tasting a fresh orange after the first successful crops from his uncle’s orchards after the war. 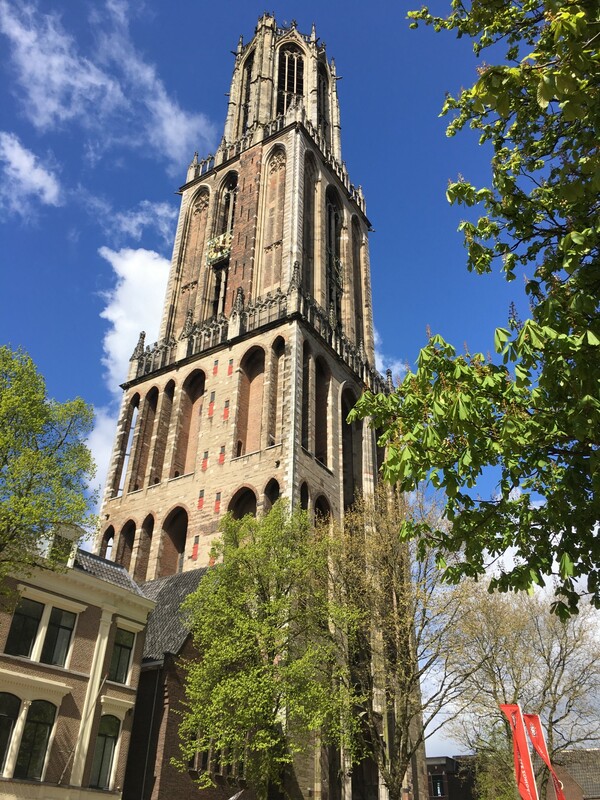 The Dom Tower of Utrecht is the tallest church tower in the Netherlands. The Gothic-style tower is the symbol of the city. My father assures me I am not named after it. I was also fortunate to visit with my former boss from Sydney Law School, Judge James Crawford, at the Peace Palace in the Hague. 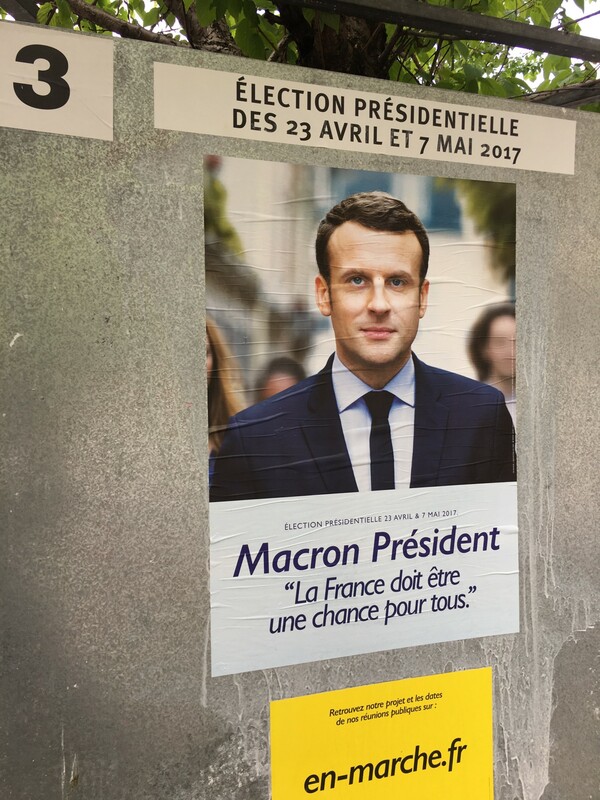 We entered Paris in time for the final round of 11 hopefuls in the French presidential elections, with security tight and the Australian Embassy on speed dial should something unthinkable happen. With Emmanuel Macron’s subsequent election, the prospect of the Far Right’s resurgence in Europe seemed (at least for now) to ebb away. Of course, protestations of “Fake News” and Schadenfreude continued to permeate the Zeitgeist as we rolled into May, a topic taken up with gusto by former Al Jazeera journalist Peter Greste when he spoke to our Fiduciary Investors Symposium (Conference papers here) in the (majestic) Hyrdo Majestic in the Blue Moutains (international visitors to Sydney: put this on your ‘to do’ list). Free after 400 days in an Egyptian prison for news reporting that was “damaging to national security”, Peter was awarded the 2015 Australian Human Rights Commission Medal, and the RSL’s 2016 ANZAC Peace Prize. He is a powerful speaker and now advocates for media freedom everywhere. Late June took me back to Europe, this time with my daughter, joining her school’s English Literature Tour (Shakespeare’s Globe for Romeo & Juliet, Salome in Stratford-upon-Avon, Hamlet in the West End, you get the drift). Security issues continued to dominate European news, and our visit to the British Museum was foiled by an untimely security evacuation. 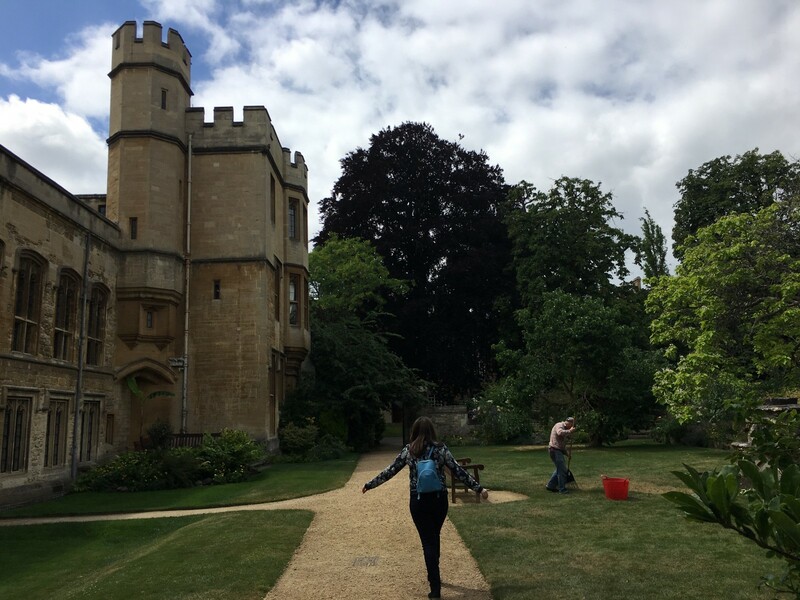 Our stay in Oxford failed to persuade said daughter to retread my footsteps as a student at Balliol College and a life in the law. She is determined to tread different boards — a thespian she shall be! 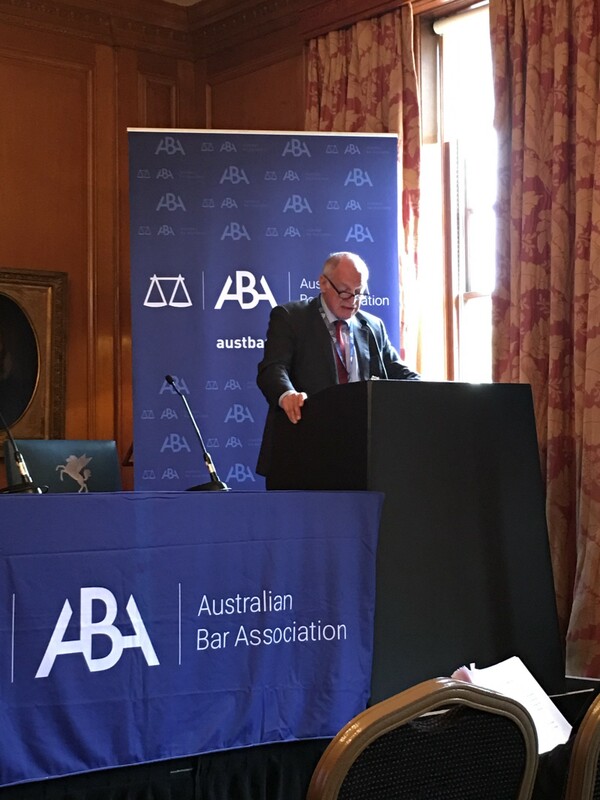 As our trip continued into July, I joined the Australian Bar Association annual conference, and lead Judge James Crawford “in conversation” (read a transcript here). This being an “away” year, the conference was held in the grounds of the English Inns of Court. Both our countries have the benefit of a common law system, which has a unique combination of flexibility and principle, and which we should “maintain, treasure, and promote” in a largely civilian law world. So argued Lord Neuberger, President of the UK Supreme Court, in his welcome to the assembled. His address soon morphed into a stirring speech on “Access to Justice”, explaining it would be “rather inappropriate to limit myself to airy feel-good generalisations, however genuine and justified they are” (read it here). Access to legal advice and representation is of course a fundamental ingredient of the rule of law, and the rule of law together with democracy is one of the two principal columns on which a civilised modern society is based. It is simply wrong, and fundamentally wrong at that, if ordinary citizens and businesses are unable to obtain competent legal advice as to their legal rights and obligations, and competent legal representation to enforce and protect those rights and test those obligations in court. His Lordship also acknowledged that it is no longer fanciful to think that artificial intelligence will be able to do the job of lawyers and judges better than humans. Clearly the involvement of AI in legal advice and representation, and indeed decision-making, could have enormous cost and efficiency implications – and many other equally far-reaching consequences. A charm of judges and senior legal practitioners from Victoria, published on 1 August 2017. Anti-corruption bodies undertake important work in helping to maintain the integrity of public administration. 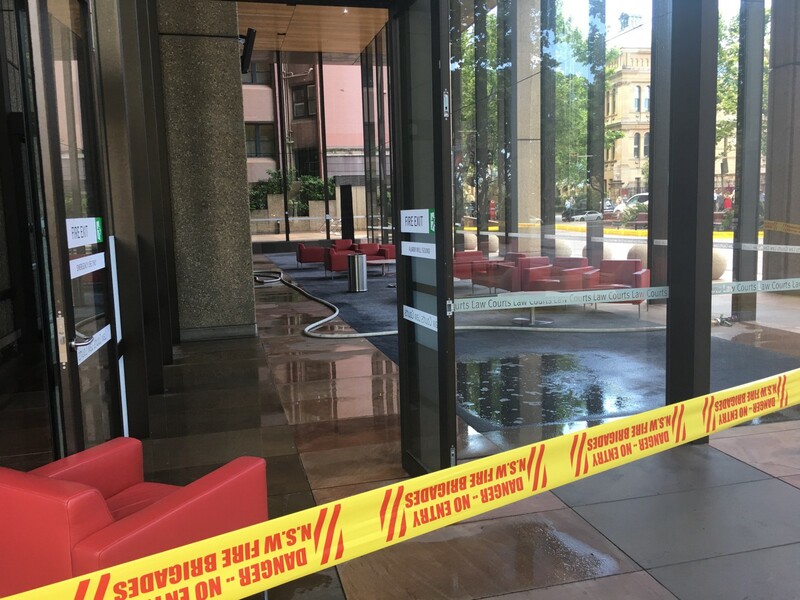 August 2017 saw the publication of a long-delayed report of the NSW Independent Commission Against Corruption affecting a high profile client (the report was delayed by a series of events concerning other parties including ICAC v Cunneen  HCA 14). However, unlike in other states and territories, hearings of the NSW body are (somewhat controversially) routinely held in public. Regrettably, some media mistakenly reported he had been “cleared” of corruption, despite the fact that no such allegation was made during the 2014 hearings. Superannuation plays a crucial role in coping with Australia’s ageing population. Superannuation funds under management have grown from $140 billion in 1992 to $2 trillion today. Maintaining confidence in the integrity, security and efficiency of the Australian superannuation system is a critical issue for employees, employers, industry and government alike. August also saw the first meeting of our Dispute Resolution Panel for the Gateway Network Governance Body for the Australian Superannuation Transactions Network, the network created by the gateway operators who transact superannuation data under the SuperStreamData and Payments Standards. The GNGB is an industry-owned, not-for-profit organisation whose purpose is to manage the integrity of the Superannuation Transactions Network. Its purpose is to provide a consistent, reliable electronic method of transacting linked data and payments for superannuation. 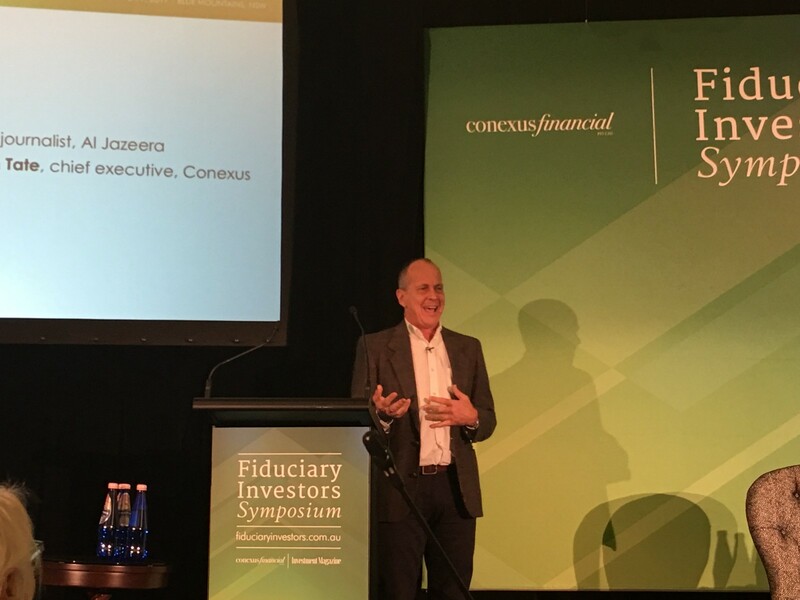 The goal is to improve the efficiency of the superannuation system, to improve the timeliness of processing of rollovers and contributions, and reduce the number of lost accounts and unclaimed monies. In early 2009, the International Bar Association’s Human Rights Institute published a report Dire Straits: A report on the rule of law in Fiji expressing concern that the rule of law was in “dire straits” following the December 2006 military coup. 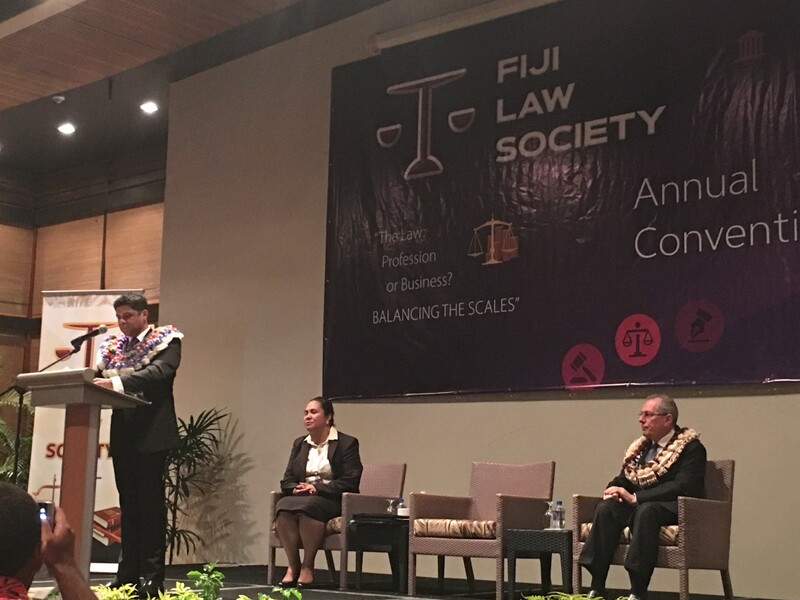 The Fiji Law Society was only reinstated in 2014, and it has seen steady growth since then. 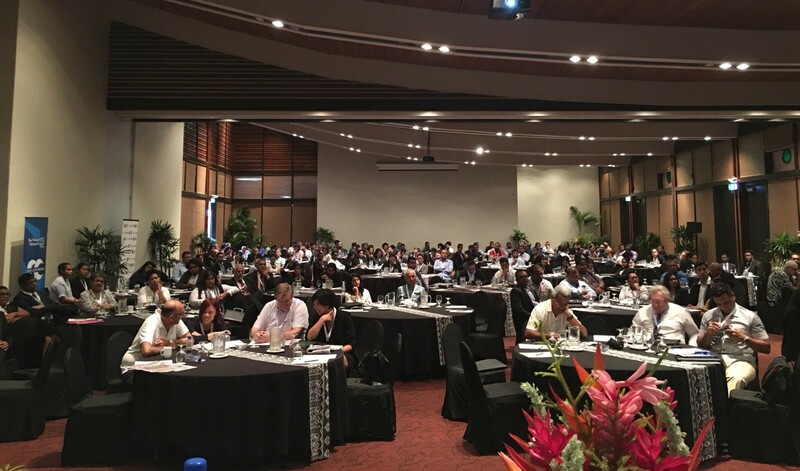 So it was that the 2017 Fiji Law Society Annual Convention was the first in many years to be attended by the country’s Attorney-General and Chief Justice, together with a significant proportion of the private profession. President Laurel Vaurasi and her Council convened an impressive convention, whose theme “The Law: Profession or Business — Balancing the Scales” was aimed at challenging mindsets, improving standards and conduct, and working to maintain the integrity and status of its members. I was honoured to be a guest of the Council and participate in a number of working sessions during the Convention, including the challenges of data management, confidentiality and cybersecurity. During 2017 I continued developing an interest in the role of computerised decision-making, ethics and the rule of law. During September my paper “Computer says ‘No’: automation, algorithms and artificial intelligence in Government decision-making” was published by the NSW Judicial Commission in its journal, The Judicial Review. It draws some of its key insights from the work of Professor Frank Pasquale as expressed in his seminal book The Black Box Society: The Secret Algorithms Behind Money & Information (Harvard, 2015). Forty years ago, the architects of Australia’s administrative review regime contemplated a world in which governmental activity was populated by human policy makers and bureaucrats, not automated decision-making, machine learning and artificial intelligence. Today, bureaucracy is no longer what it once was. Increasingly, administrative decisions that used to be based on human reflection are made automatically. Important decisions about people’s lives will be made by algorithms and profiling, and potentially autonomous intelligent artificial agents. How can public law’s mandates of transparency, fairness, and accuracy in government decision-making be guaranteed? In my paper, I canvassed how more governmental transparency, clear and effective regulation, and a widespread awareness of the challenges posed by automation, algorithms and artificial intelligence can help sustain administrative law values. Regulation of charitable activities in Australia is regrettably complex, with state and Federal laws overseen by different regulators and government departments. I spent most of September and October appearing as counsel in hearings of the Public Inquiry under the Charitable Fundraising Act 1991 (NSW) into the charitable fundraising activities of various arms of The Returned and Services League. The RSL is a support organisation established under statute for men and women who have served or are serving in the Defence Force. The RSL NSW branch was formed in 1917 and has over 38,000 members in 364 sub-branches throughout the state. In Australia, public inquiries and Royal Commissions are popular vehicles for the exploration of public policy issues in addition to “shining light” on areas of potential misconduct. The eventual report by former NSW Supreme Court Chief Judge in Equity, the Hon. Patricia Bergin SC (published in February 2018) contains substantial recommendations for legislative and regulatory reform. 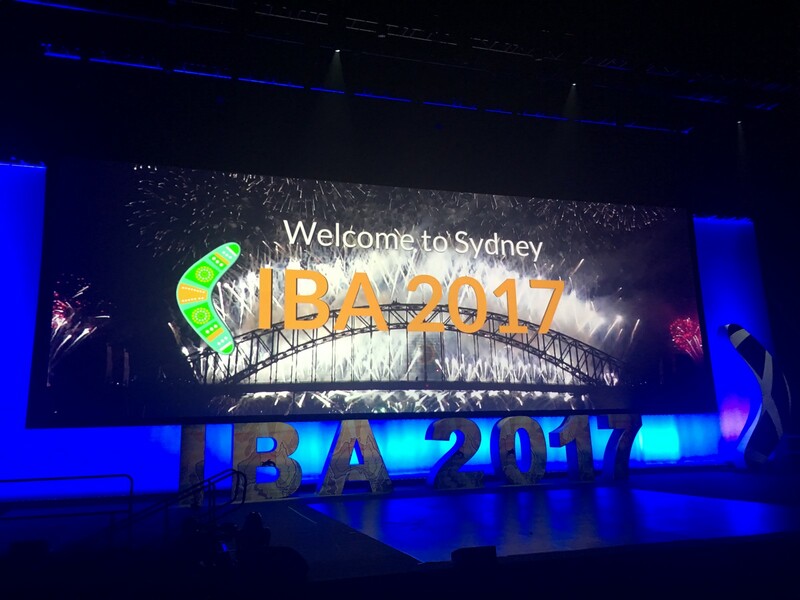 Amongst the thousands in attendance from all over the world were 8 young Fijian lawyers, all sponsored by the IBA to attend the conference. I was given ‘short leave’ to attend my meeting of our IBA Regulation Committee, and join an international panel chaired by Hong Kong Bar Association Chair Winnie Tam SC, to explore “What role has good advocacy in mediations and arbitrations” , in recognition of the increasing work of counsel outside traditional courtroom trial advocacy. On the last day of November, the Australian Government announced a broad-ranging Royal Commission into misconduct in the banking, superannuation and financial services industries, chaired by former High Court Justice, the Hon. Kenneth Hayne AC. The inquiry was announced after a busy time in the regulation of banking and financial services in Australia, including: establishment of an Australian Financial Complaints Authority, a new professional standards regime for financial advisors, the first civil penalty case for breach of the new “best interests” duty for financial advisors, a new Bank Executive Accountability Regime (BEAR), and a new ASIC industry funding model. The Commission is expected to submit an interim report to the Government by September 2018, with a final report due before 1 February 2019. Our Round 1 hearings on Consumer Lending held in March 2018 certainly moved at a cracking pace. As the year drew to an end, the Law Courts (having reopened) again closed, and most barristers packed up and did their best to stay away until the long, hot Australian summer had delivered the various delights of beach cricket, beach hats, and beach shacks. For our family, we enjoyed a series of celebrations: a wedding (my brother), an 80th birthday (my mother), and baby news (my brother and his new wife). Just before Christmas I was briefed in yet another inquiry (this time, about water regulation), and spent the last days of the year wading through a sea of paper. *If you believe in Drop Bears, I have a bridge I’d be happy to sell you. 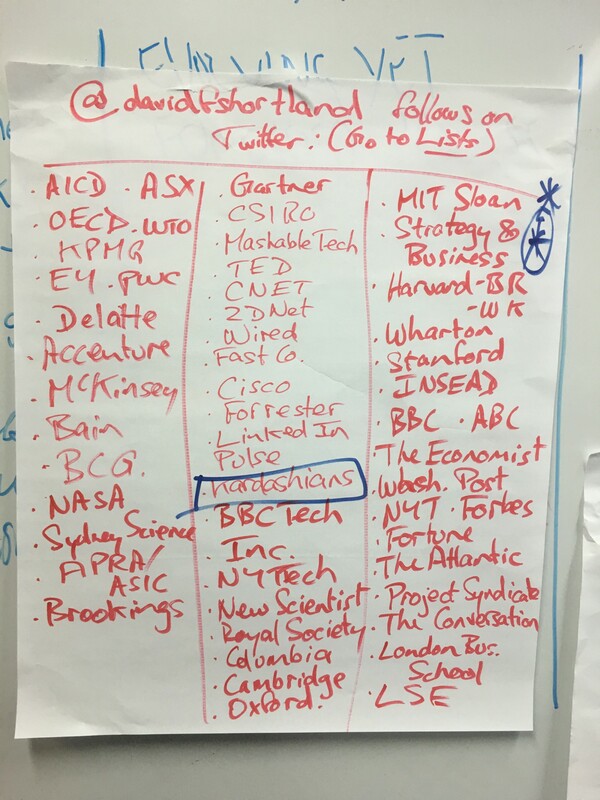 An Australian barrister interested in regulation, technology, and public policy.